SALINAS, Calif. – The phrase “Take It Outside” isn’t always a good thing, but on Sunday it took on a new meaning. 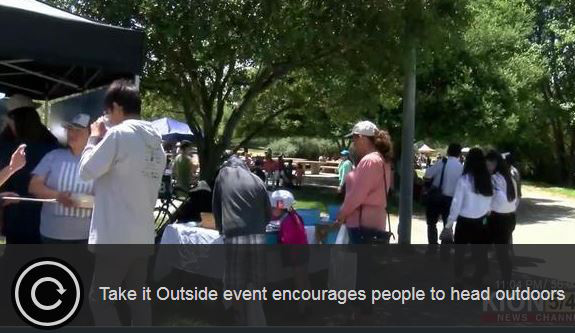 Several Salinas based Organizations held the third annual Take it Outside Celebration to encourage families to power down the screens and enjoy the outdoors. “We stay inside, we’re in school all day or an work all the time and we don’t realize how important it is to be outside and communing with our families and our parks and our friends and neighbors,” says lead organizer Leti Hernandez. Starting Video… Click here if the video doesn’t load.